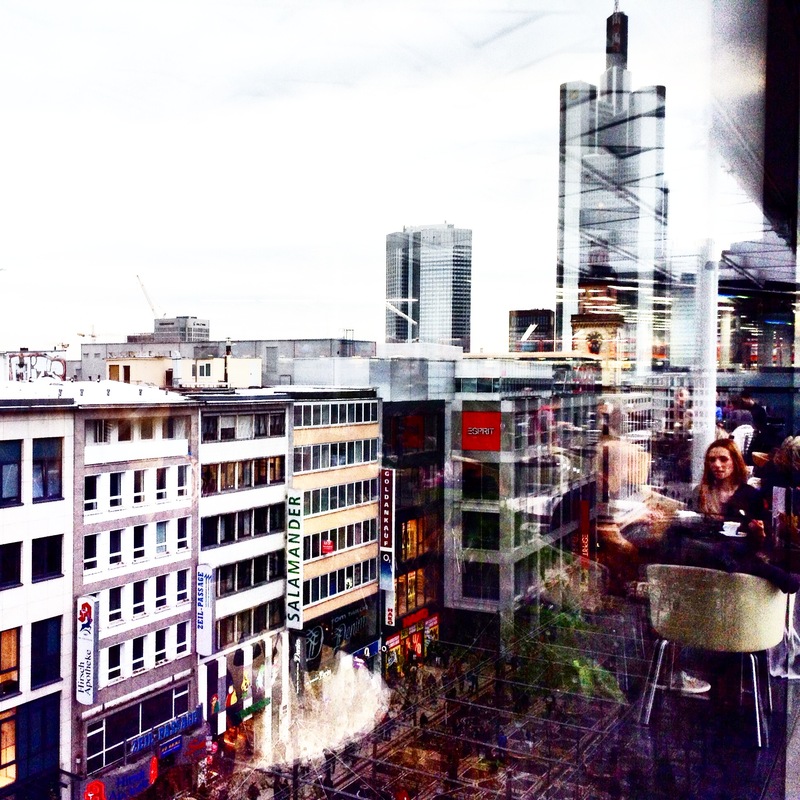 As if in a movable frame of the Venders’ Million Dollar Cities, extends the skyline of the new German capitalism. 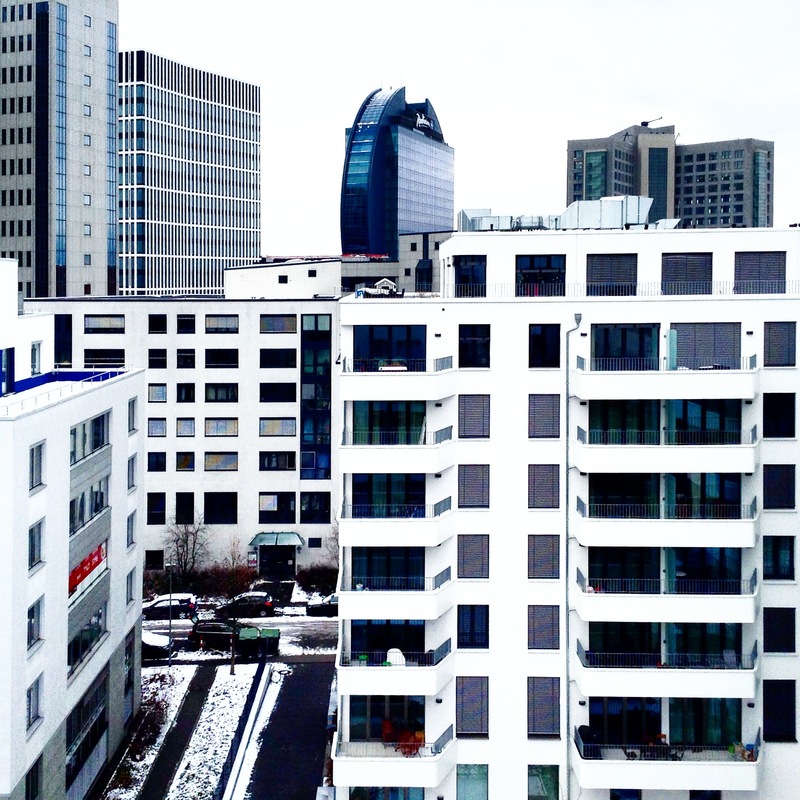 A gray silhouette followed up to the Ciel mall, futuristic building where from the center of Frankfurt, via mechanical staircase, you can reach the last sinusoidal floors peeping over the city. Almost as if we are in front of some American toponom here in the centre of Europe. It is thus somehow inserted between the redesigned antiquity and the lifting of the traditional construction. It is perhaps the only urbanity of this type of structure that extends in the old and conservative Europe, with high, sleek and glassy skyscrapers, large entrances, volumenous atriums, all those features recognizable for the North American cities that develop and concentrate vertically. It stretches nicely along the bleak river of Main, in whose bed both banks develop intertwined with rigid and industrial infrastructure of bridges. The fog and greyness that make it recognizable accentuate the white color which fades it further, while in the later hours, when the humidity and the temperature rise, it begins to blur with the yellow urban night lighting, displaying it as a graphic aquarelle. Thus heavily-set in its saga, it is also supplemented with the immigrant hotness that melts the cold and completes its multiethnicity and tolerance. Socially, it looks really tidy. 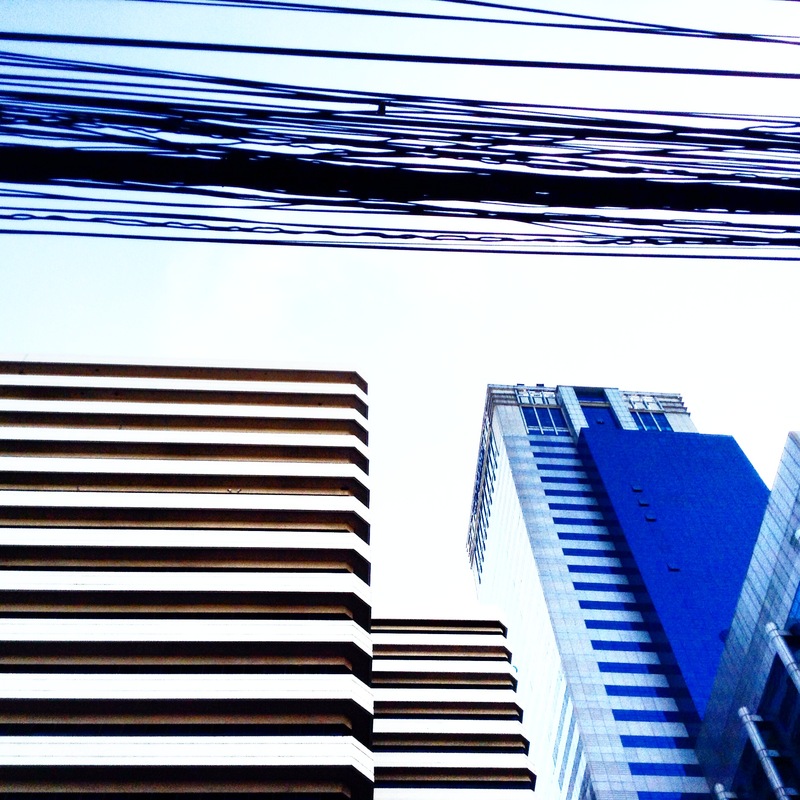 The city had a specific and rigorous development, mixed with democracy and liberalism. It correctly and constantly replenishes its urban tissue under constant pressure of the heavy capitalism and tension between the residents and its planners. The city has been intensively developing since the 60s, after it has was destroyed to the ground in World War II. Meanwhile, it was rebuilt following the pattern of its old architecture, that has been faithfully cloned. Nevertheless, the city develops in full swing and therefore intensively begins to enlarge. In the 70s it spreads towards the west, through City West Plan, impactly increasing the density with skyscrapers up to 40 floors, colonizing the Anlagenring, a district packed with commercial potential and not in conflict with its residents. It is actually here that its aggressive silhouette was conceived. In the 80s the development does not appease and the City-Light plan is even further urbanized (by the urbanist – Speer’s son). This plan draws an axis where the western part of the city and the southern part of the settlement Bokenhaim meet, using the suitability of the efficient transport routes in that part of the city. This urban move is from the mandate of NDC political system, which cost them losing the support of the local population that was opposing the enlargement. In the 90s the city finally begins to grow towards the eastern district which was until then neglected, and since the moment its territory has been degraded opening a new urban gap, it starts being filled with new housing and trade contents. 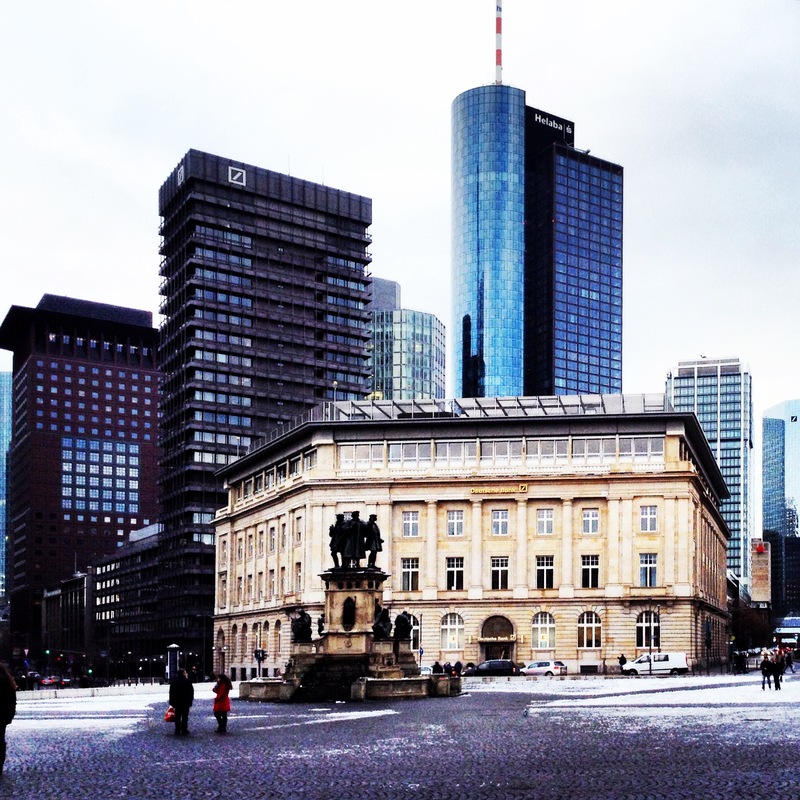 And it is exactly that part in the city that became a recognizable landmark of the new European financial capital, where the European Central Bank rises as a symbol at the main square. The city still doesn’t stand still, growing and therefore debating, seeking ways and courses of action. Different intervisions are shared by various architects, including Jonah Freeman, Arata Isozaki, El Lissitzky and many others, offering horizontal links connecting the horizontal lines in the absence of more space, preparing for the upcoming second wave of enlargement. Parallel with the city, perhaps one of his most important satellites also develops: the airport with its terminals and transfers reaching impressive size and development of united metropolis, whose ratio further drains from the current density. 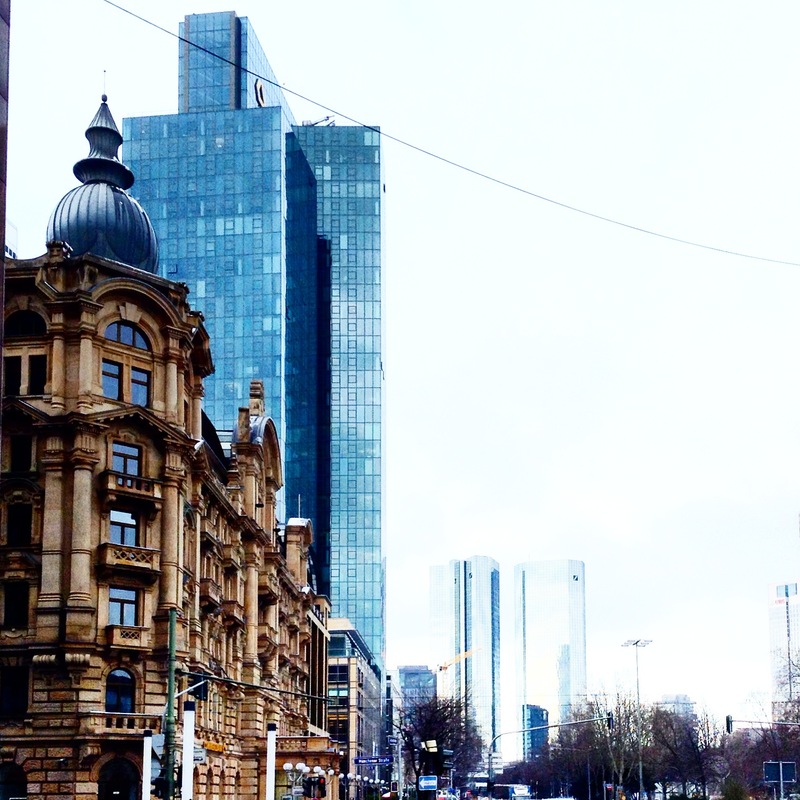 All of the above said, Frankfurt presents a Counter city, filled with numerous non-places: banks, hotels, airports, fairs and skyscrapers, on whose platform you can see businessmen rushing, thus in their own way depicting this modern scenario of surreal city. 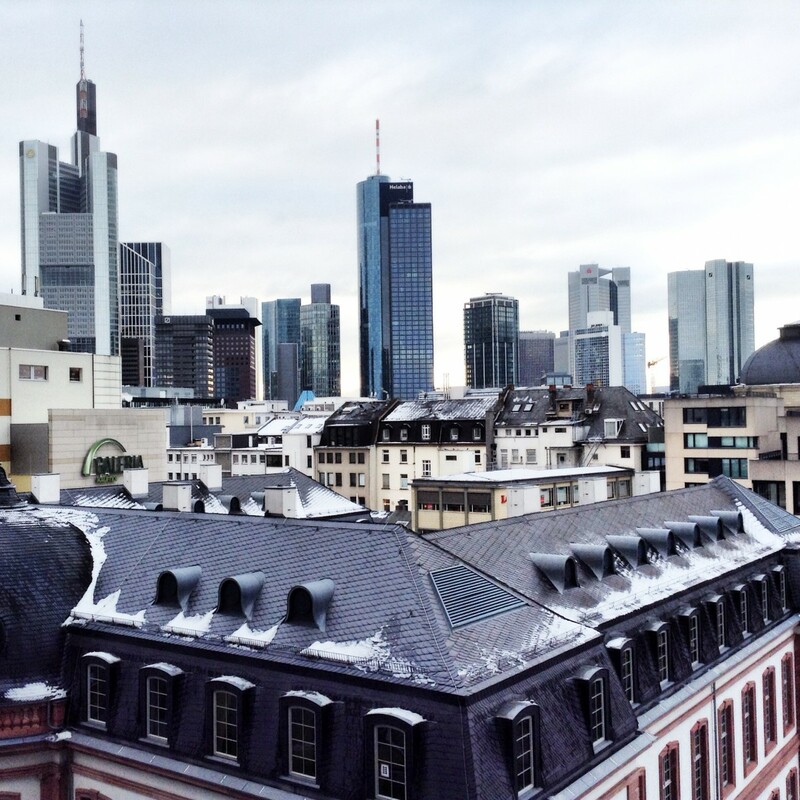 Very important for Frankfurt are the upper top terraces that have the most beautiful and dominant visions of the city, which are still closed to the public. Such conservative absence has prompted the Skyscraper Festival, held since 2011 at the initiative of the then Mayor Petra Roth, with the objective for that exclusive space to be provided for the collective good, to break through the boundaries of such rigid and protected heights and to share the potential that resembles the futuristic installations of the works of Tomas Saraceno. He constantly develops networks, connections with spheres, communications, inspired by the mega-architecture of the middle of the last century that support the social theory metaphore. CloudCity is an impressive installation of his that breaks the perception of connection and communication between the local thing and something even bigger, globally. 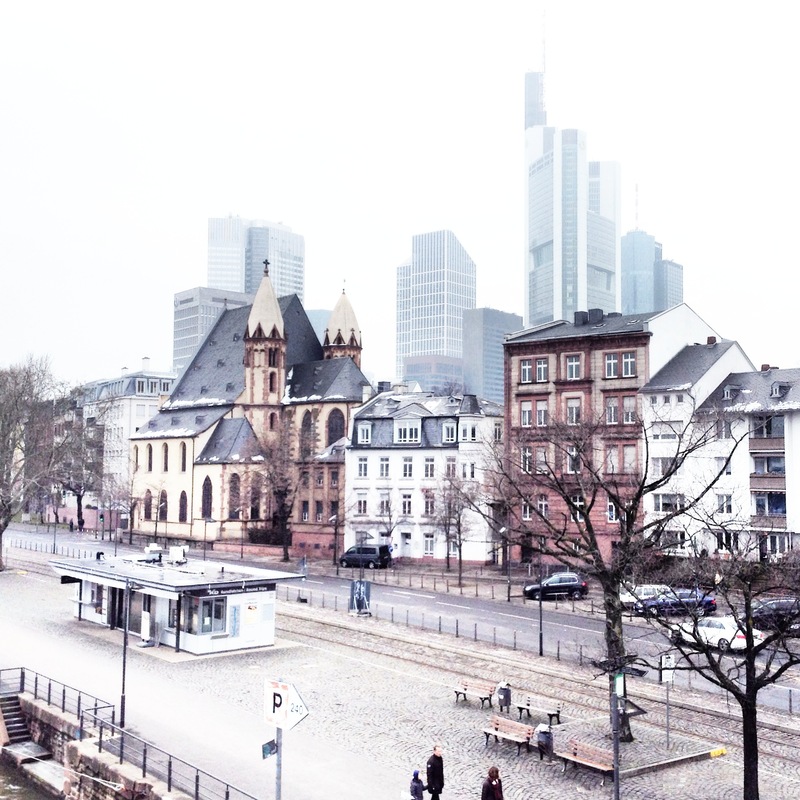 All the impact of that rigid Frankfurt constantly breaks down.